China is the cradle of culture. One of the oldest civilizations has evolved here, resulting in a glorious history and diverse culture. Today many ancient cities have been very well preserved and become major tourist attractions. We have picked ten great towns that you should consider visiting at least once in a lifetime. 20 kilometers from Guilin lies a hidden ancient gem – Daxu Town. It counts over 2000 years of history. The town thrived in the Middle Ages due to the trade via the Li River. The well preserved architecture is the main attraction: discover the ancient stone streets, temples and historic markets. Go to Longevity Bridge, where stunning views to the Li River, Millstone Hill and Snail Hill open. Back in the 14th century Ping Yao served as a financial center in China. Even to this day it is a walled city. The ancient wall is the signature feature of the ancient town and is listed as the World Heritage Site. Narrow Medieval streets provide a romantic stroll and allow to explore the town. The historic architecture and the buildings are very well preserved. Visit many of the shops and markets and get something authentic from the local manufacturers. The old town was surrounded by a wall, that had been dismantled in 1912 and opened its doors to the world. The guests are welcome to admire ancient temples and gardens, that get lit up by thousands of colorful lights at night! Amazing architecture attracts crowds, who indulge in food, visit a fair in the City God Temple, which is being held in spring and fall, and simply wander the romantic streets of old Shanghai. Embedded in Hunan Province and surrounded by the glorious Tianmen mountains, Fenghuang (also known as Phoenix Ancient Town) is a gorgeous gem in China. The very well preserved buildings from the Ming and Qing era are protected by UNESCO. No wonder the town is often to be the most beautiful one in China. Visit this precious town, which regardless of its location is accessible due to the big tourist interest. Take a boat tour on which the town will unravel its rare beauty. 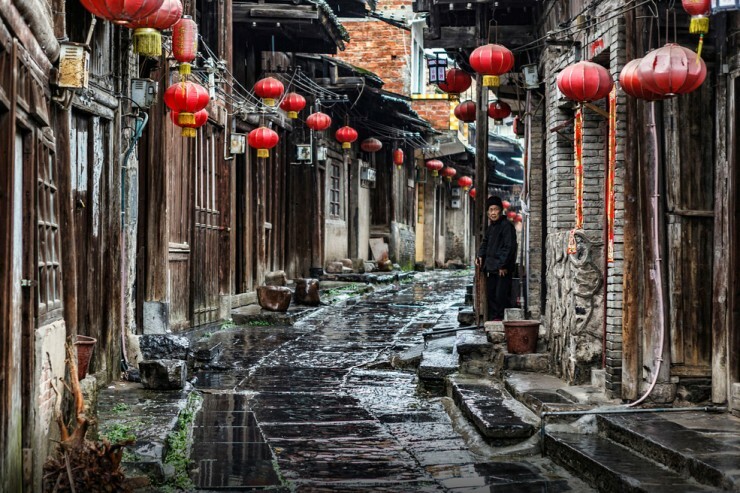 The ancient capital of China, Xi’an is a very characterful town, with an evident historic aura. After all it has descended from one of the earliest civilizations in the world. The major attractions include the Terracotta Army, the City Wall, the First Emperor’s Tomb, Shaanxi History Museum, and the Forest of Stele Museum. Also come here to admire the traditional impressive Chinese opera. Xi’an is famous for the impeccable Qinqiang opera style. 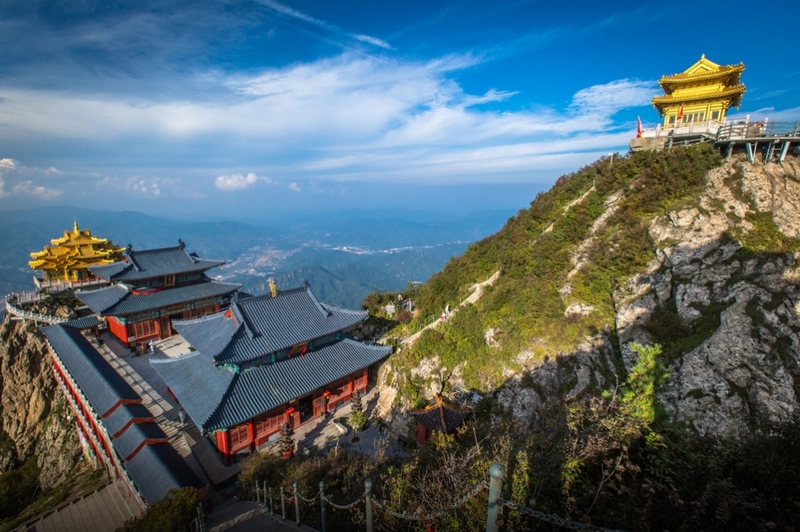 The ancient capital of the various dynasties feature so many attractions, including Sun Yatsen’s Mausoleum, Emperor Zhu Yuanzhang’s Tomb, and the Confucius Temple. Situated on the banks of the Yangtze River, Nanjing therefore provides great views, boat tours and ancient park. The town is a major town in the region and boasts an impressive modern center. Therefore its a perfect blend of contemporary facilities and well preserved historic old town. Founded on the bank of the Yellow River, Kaifeng is a huge city, populated by 5 million citizens. Also known as the City of Calligraphy since several styles have been developed here. It also has a hundreds of years of history regarding the chrysanthemums flowers: a big wonderful flower festival in October and November takes over the streets of Kaifeng. Explore this huge city and its numerous attractions. Also try the authentic Henan cuisine dishes. One of the greatest ancient cities in the world, Beijing has preserved so many historic treasures: the Great Wall of China, the Forbidden City, the Temple of Heaven and the sumptuous Summer Palace, Tian’anmen Square with Mao’s Memorial Hall, the Ming Tombs, and the Hutong neighborhoods. While the modern part of Beijing boasts the tallest skyscrapers and luxurious shopping centers, the old town is certainly the most attractive part of this ancient gem. Dubbed as one of the cradles of Chinese civilization, Luoyang has been another major capital of the country. The Longmen Grottoes are protected by UNESCO and are a signature site of the city: the reliefs of Buddha carved in the rock and thousands of statues in the caves are a major attraction. Visit the museums that display ancient relics. Also experience the Water Banquet, which is a traditional Chinese set, which includes 8 cold and 16 warm dishes. First settled in 314 BC in the picturesque valley of the Li River, today Guilin is one of the most popular tourist destinations in Chine. Surrounded with the stunning karst formations that form a staggering landscape, Guilin is also dubbed as the Forest of Sweet Osmanthus due to the abundance of the fragrant trees growing here. Take a Li River cruise, which is one of the most picturesque cruises in the world. The tour takes off in Guilin and heads towards Daxu.